Exclusive! Our Curious Crystal Cat is the cat's meow! 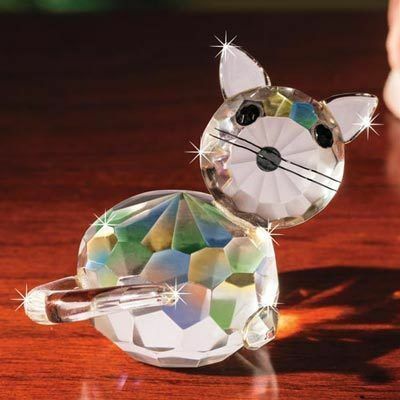 Cute kitten is beautifully crafted from clear, fully faceted, crystals and accented with black eyes, nose and frisky whiskers. This piece really sparkles in the sunlight! Perfect for both cat lovers and crystal collectors alike. 2"h.